GRAND OPENING EVENT ON SATURDAY, FEBRUARY 9th AT 1pm! 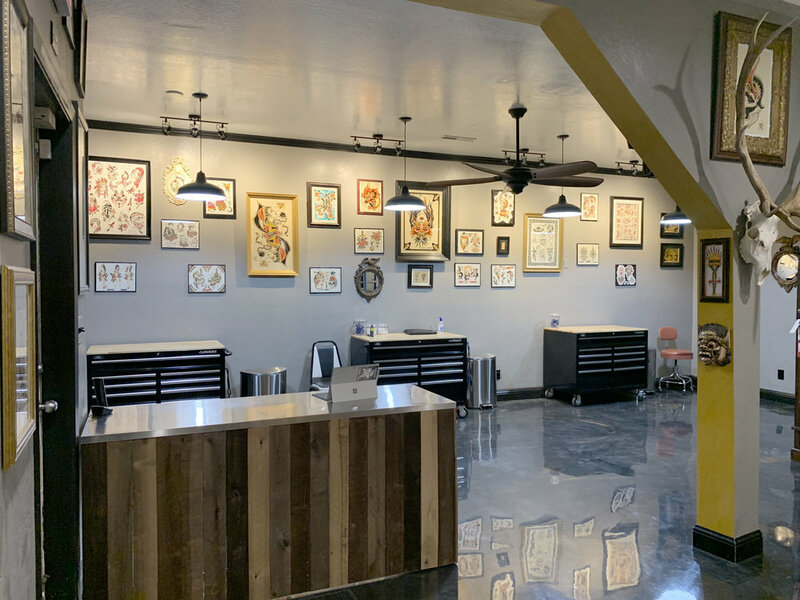 Located in Carson City, NV this new tattoo studio has been started by local talent, Tony Jackson. It has been Tony’s dream to open a studio near downtown, in his hometown, for several years. When the timing was right, he along with his girlfriend, Lezlee took the steps to make it reality. To be able to better serve their community with safe, modern tattooing and to have a platform for fundraising and community support was their ultimate goal. Click here read a rad article about RST on CarsonNow.org! Carson City native, Tony Jackson, began tattooing professionally in 2009 and has continued to grow as an artist ever since. Willing to tattoo in almost any style his clients desire, his art varies from bold traditional to illustrative realism. Tony decided mid-2018 that he was ready to take the next step and open Rice Street Tattoo in order to better serve his clientele and push himself to continue progressing. Matt Rose was born and raised in the Bay Area, CA and moved to Gardnerville, NV in 2017. He finished his apprenticeship under Chris Perkins in 2015 and has since fallen in love with the trade. He is a universal artist who is capable of tattooing just about any style. However, his favorites are Black and Grey realism, American Traditional, and Japanese. Alberto Rivas Carranza (AKA L’bert), is an artist inspired by the changing world around him. After experimenting with different artistic outlets including pottery, music, poetry, culinary arts, watercolor, and acrylic painting, L’bert’s artistic journey has brought him to the world of tattooing. Following years of experience in the industry, L’bert has created a style of his own. He has refined his techniques to deliver bright and bold tattoos that will stand the test of time. 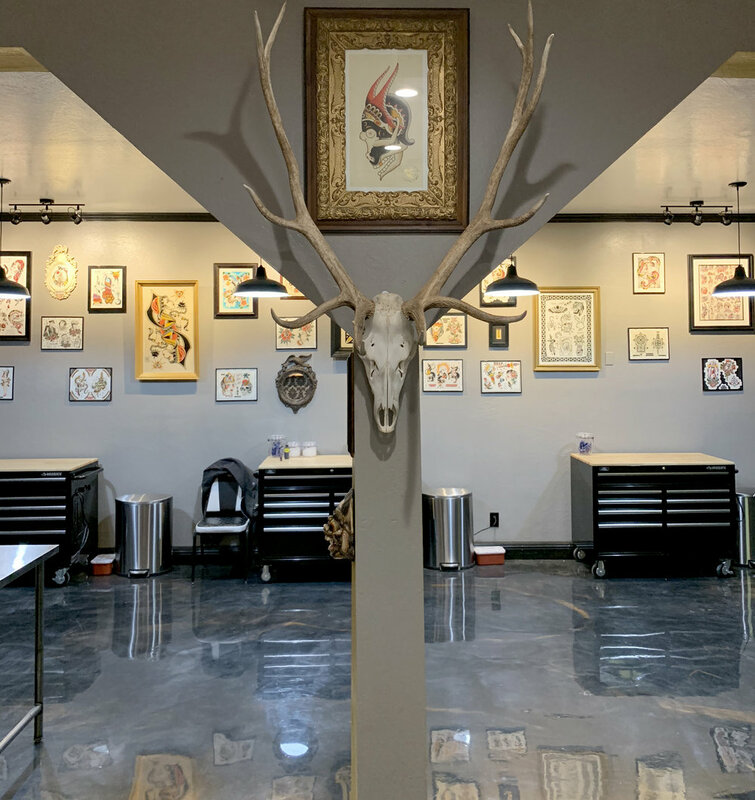 This Reno NV artist is joining the Rice Street tattoo crew to expand his portfolio and better serve his Carson City clientele.